More and more families are heading to Europe for river cruises and features that include dedicated tours and programming to attract parents, and often the extended family. Inclusive excursions can feature Venetian mask making in Italy, private dinners in a centuries-old castle along the Rhine River, and hot air balloon rides over Paris. Families can even take off to explore destinations on their own using the ships’ complimentary bicycles. The immersive experience while onboard these intimate ships can get families cooking regional cuisine, taking language classes, and listening to local entertainment. Most of the departures take place during the summer and winter school holidays and are usually seven-night cruises, with some offering land-based add-ons. Unlike traditional ocean cruise ships that can hold thousands of passengers, river cruise ships hold a maximum of approximately 200 guests. With that small size comes much less onboard amenities. You won’t find water parks or climbing walls, and there will be one, maybe two restaurants. There may be a small fitness center and spa for adults, and some ships may have a small pool. The intimate river cruises, however, also lack long lines to get on and off the ship and crowds. More of a tour where the mode of transportation is a ship, river cruise itineraries also provide a more personal and immersive experience with the ships’ ability to visit small cities and towns. Local experts and guides lead shore excursions that provide an authentic feel. Rates on river cruises are generally all-inclusive, with dining, drinks, gratuities, and even shore excursions included. Airfare is additional. 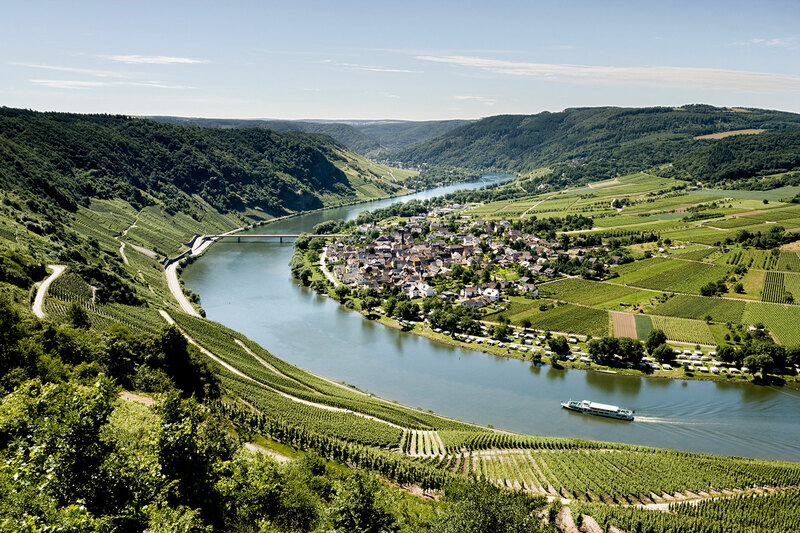 Adventures by Disney partners with AmaWaterways river cruise line for cruises on the Danube River and Rhine River. Countries visited include Austria, Germany, France, Hungary, the Netherlands, Slovakia, and Switzerland. Adventures by Disney excursion highlights include an Oktoberfest celebration with costumed local entertainers, bike ride through Austria’s Wachau Valley vineyards, marionette performance and strudel making demonstration in Vienna, clog painting and a cheese making demonstration in Holland, and ziplining through the Black Forest in Strasbourg, France. The holiday sailing features visits to Christmas markets and a Vienna Boys Choir performance. Disney Adventure Guides are on each sailing, serving as hosts in each destination and onboard the ship. The guides are in addition to AmaWaterways’ crew and Cruise Manager. Onboard the ship, guest spaces are repurposed during the family sailings to provide for specially designed activities geared towards children, teens, and adults. Adjoining staterooms and suites are available and can sleep three to four guests. The ships also have swimming pools. Recommended Age: Children ages 8 and up are welcome to cruise on AmaWaterways. A-ROSA offers sailings just for families, cruising along the Rhine, Maine, Moselle, Danube, Rhine and Saine Rivers and visiting Austria, Belgium, Bulgaria, Germany, France, Hungary, the Netherlands, Romania, Slovakia, Serbia and Switzerland. Especially appealing is that each child ages 2 to 15 sails free with an adult! A-ROSA’s ships have triples, family suites, and adjoining staterooms to cater to the family market. Almost all of A-ROSA’s ships also have swimming pools, and during holiday periods, the A-ROSA kids’ club is available for ages 4 to 15. Recommended Age: Age 2 is the minimum age on A-ROSA, but children age 6 and older will most enjoy the experience. Tauck offers four family-specific cruises: Fun Along the Seine: Paris to Normandy; France Family River Cruise (on the Rhone River); Blue Danube (Hungary to Germany and through Slovakia and Austria); and a Castles on the Rhine cruise, which sails through Switzerland, France, Germany and the Netherlands. Kid-friendly fun includes a scavenger hunt in the Louvre, Bratislava Devin Castle Jousting in Slovakia, French cooking class in Valence, and a private dinner and tour of Reichenstein Castle on the Rhine. Tauck has several director-level staff members on each departure, in addition to the local guides. Though there are no connecting rooms onboard, Tauck does offer family-friendly configurations with some suites that can accommodate three or four with a pullout couch. It also waives its single supplement, ideal for single parents or a single grandparent traveling with the family. Recommended Age: The recommended age is 8 and up for enjoyment, but the minimum age is 4 on the Tauck Bridges river cruise departures. Rivers include the Rhine, Danube, Main, Seine, Po and Venice Lagoon. Countries that are visited are Austria, Czech Republic, France, Germany, Hungary, Italy, the Netherlands, and Switzerland. A December Christmas markets cruise in Germany is also available. Family shore excursion highlights include Frankfurt’s paleontological museum, a tour of Vienna’s Spanish Riding School, glass-blowing and mask-making workshop in Italy, hot air balloon rides over Paris, and visiting Marksburg Castle and its armor collection in Braubach, Germany. The Generations departures also include kid-friendly menus and nightly Young Travelers Table (though kids can also eat with their parents if they chose), onboard Family Hosts, special ship tours with the Captain or hotel manager, use of bicycles, onboard language and dessert making lessons, and a Young Travelers’ Lounge & Game Room. Each night with turndown, children receive a special gift reflective of the destination. Recommended Age: Kids should be at least 4 years old to get the full multigenerational experience that Uniworld offers.